As much as we like to tell the kids at First Child Development Center how fun math can be, it seems that the majority of them have already made their mind up about the subject before they ever set foot in our preschool. This has to do with the way math is portrayed to them by you, the parent. In order for a child to be open to the idea of liking math they have to know that they are not wasting their time learning something they ultimately are not going to enjoy. And let’s face it, math is something that we continue to do for the rest of our lives which means it’s something we had better learn to do and do well if we want to be successful adults. The same can be said for your kiddo. Teaching your child to have a positive attitude towards math at a young age will likely aide them in the future when it comes to their schooling and just general responsibilities they will acquire as they age. So how do you make sure your preschooler doesn’t have a negative attitude towards math before they are ever taught simple addition? A few ways actually. Do not perpetuate the “math is hard” train of thought. If your child hears you say something is difficult or boring, they are going to make that their opinion as well. That is why is is extremely important to make sure you only talk about math in a very positive way in your household. Get your kid excited about learning math rather than making them dread it. Read math themed children’s books. There are plenty of children’s authors who have taken math as a subject and created a narrative around it that will both entertain and teach your child. Whether they are learning addition and subtraction or measurements, exposing them to these ideas in a fun way is sure to encourage them to learn more. There are plenty of places on the internet that your child can play games that require them to use their math knowledge. Seek out math games online and show your child how fun learning can actually be! The bottom line? 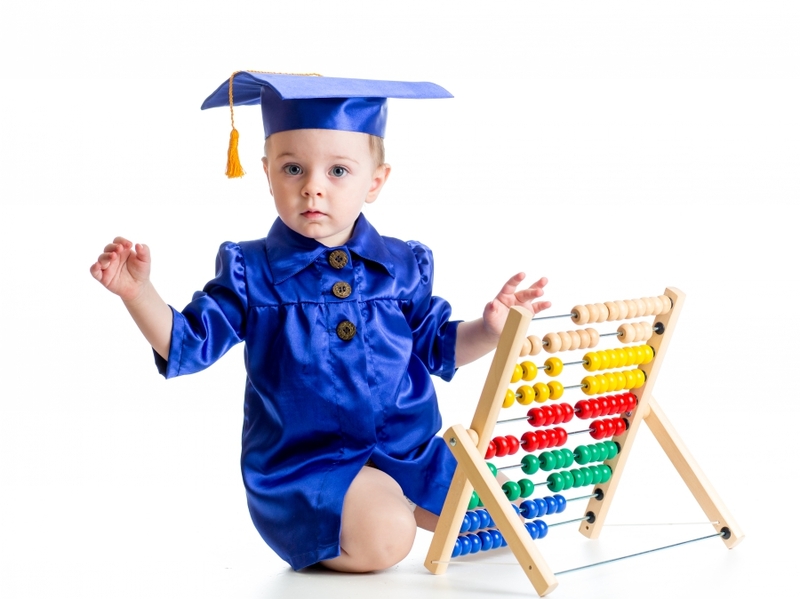 Even if you hate math as an adult, and have always hated it, don’t pass your negative attitude about this extremely important subject on to your preschooler. Your child has a clean slate and should be given the opportunity to enjoy learning every subject and not just the ones that everyone typically tends to prefer. Children who do well at math while they are in the lowest grade levels tend to excel in their academics later in life, as they have built a strong foundation and the ability to think analytically as well as creatively. First Class Child Development wants your child to get the most out of the incredible education we offer and we know you do too, so get excited about math so that you child can too!